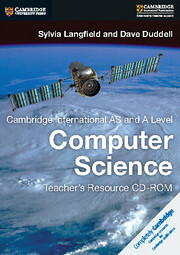 This Teacher's Resource CD-ROM accompanies the Cambridge International AS and A Level Computer Science Coursebook. It includes answers to all extension and end-of-unit questions, ideas on how to make best use of the materials contained within the coursebook, homework tasks and additional extension activity worksheets, and a bibliography of helpful further reading. 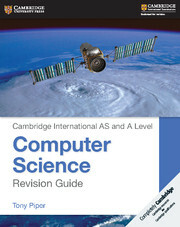 Contains answers to all extension and end-of-unit questions posed in the coursebook. Offers detailed support to teachers following the 9608 syllabus in order to help them get the best out of the coursebook resources. 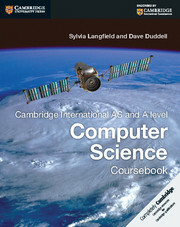 Offers examples in three programming languages noted in the syllabus (Visual Basic, Python and Pascal/Delphi) to support all students.